Core Products International manufactures and markets industry leading orthopedic soft goods such as cervical pillows, hot/cold packs, and a variety of ankle, knee, and back braces across the United States. Selling primarily to the chiropractic market, Core Products invests in a number of demand creation opportunities (advertising, direct mail, and tradeshows) to make sure their clients are successful. Their commitment to excellence and providing superior quality and service, positions Core Products as a leader in their industry, while they serve the needs of their B2B distributors and direct consumers alike. Core Products initially decided to work with Front Line Systems because their previous technology partner wasnʼt providing them the support they needed. They decided to look for a business technology partner with Sage 300 (Accpac) ERP and MiSys experience that was in close proximity to their location. “The Front Line Systems team has provided us the business technology support we needed to grow our business from one location and $2 million in annual sales to multiple locations, $15 million in annual sales, and a lot more products,” said Keehr. CHALLENGE – The existing MRP system at Core Products was an end-of- life product, so they were forced to consider other software options. After evaluating and discussing Core Productʼs needs, Front Line Systems (their business technology partner) recommended AutoSimply manufacturing software. 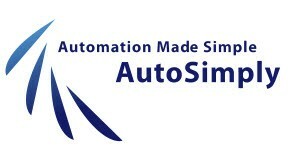 Royce Keehr, CFO at Core Products says, “We liked AutoSimply because its screens and functionality were very similar to our previous system.” AutoSimply Manufacturing, Front Line Systems, and Core Products employees worked together to ensure customizations specific to their company were in place. It took 12 months from initiating the manufacturing software evaluation process to the implementation of AutoSimply manufacturing software. Twelve key users from Core Products were involved in the replacement of the manufacturing system. Front Line Systems built a sandbox and implemented the AutoSimply manufacturing software in a test database. Sue Hermann, business technology consultant, at Front Line Systems says, “We left everything in MiSys (the previous manufacturing system) and setup a duplicate company in AutoSimply, in the test database. Core Products had over 200 open purchase orders, $1 million dollars in raw material inventory, more than 3000 inventory items, and production schedules entered in our test system. “Front Line Systems provided many training sessions for Core Products employees. The employees were mandated to enter everything in the test system. The goal was to make sure that the Go-Live process was anticlimactic. Within seven months of building the test database, Core Products was ready to Go-Live. “We were able to figure out what worked and what didnʼt ahead of time, so we were ready for the Go-Live,” says Keehr. “Our employees were comfortable with the system the day we went live, because of all the prework we did in the test database,” says Keehr. CHALLENGE – Core Products was printing and mailing over 300 invoices a day. They were spending a lot of money in printing and postage costs for invoices, packing slips and order confirmations. Core Products was printing multiple copies of orders and packing slips that needed to be sent to different business locations. The employees had to drive approximately 60 miles to deliver the order confirmations to another location. They also had to mail out invoices every month and were spending alot of money in postage fees, labor and other miscellaneous expenses. Front Line Systemsʼ recommended using Print Boss (software Core Products already owned) to print order confirmations to different locations, and auto-email invoices, order confirmations and shipping confirmations. They saved $10,000 in postage and labor expenses within the first year of expanding the use of Print Boss software. CHALLENGE – Sage 300 ERP Reports were not sufficiently able to cater to the reporting needs of Core Products. This report helps employees in each production line know when a product needs to be produced and shipped. This report can be sorted by category, item number, order date, and expected ship date; so a person in the production line can look at this report and say – this product needs to be made today, at this location, in this line within the production facility. Efficiency has sky rocketed thanks to these custom reports. CHALLENGE – Core Products was not happy with their existing webstore integration product to Sage 300 ERP. They had to touch every order and make changes to it, and then reenter it in their ERP system. The software didnʼt always bring the orders in correctly, and it was just difficult to manage. At Front Line Systemʼs recommendation, Core Products decided to go with IMAN. The software integrated very well with Magento, the existing web store and Sage 300 ERP. It easily pushed information from the webstore into Sage 300 ERP. It took approximately two months to implement IMAN and cost only 30% of what Core Products paid for their existing webstore integration software. The customer service people donʼt have to touch every order that comes from the website. In fact, they donʼt have to touch orders at all. Entering an order by hand used to take 5 minutes, and now with IMAN software they are down to 17 seconds per order. If there is anything Core Products is doing that takes a couple of hours on a daily basis, they seek to use IMAN to automate the process. Royce and Raven Rickeard, IT Specialist at Core Products Internaltional, appreciate that Front Line Systems gives them options. “They are proactive and they let us know what is on the horizon and suggest changes to help us stay ahead of the curve. We appreciate them proposing, “Hereʼs what we think you could do moving forward, what do you think about this solution?” says Keehr. “Sue is an excellent consultant. She understands our culture here. She comes up with questions that Royce or I would never think of asking because she understands the software, so she can explain which current or new software will best help us,” says Rickeard, IT Specialist.